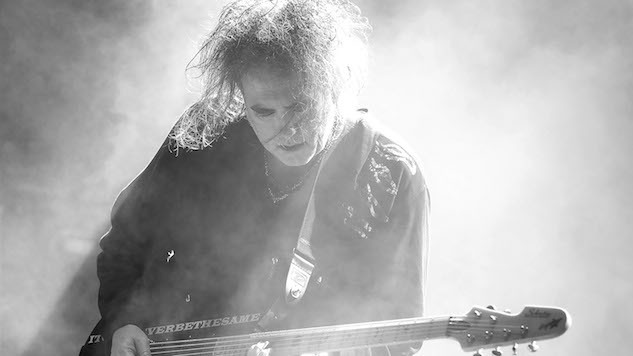 The Cure are one of the most beloved and critically acclaimed bands of the new-wave era. They received worldwide commercial success in the late 1980s after more than ten years as a band with the albums Kiss Me, Kiss Me, Kiss Me and Disintegration, which together featured hits like “Just Like Heaven,” “Lullaby” and “Pictures of You.” The new album coincides with The Cure being inducted into the Rock and Roll Hall of Fame later this year. Details on the new album are sparse, but Smith has said his work as a curator for last year’s Meltdown Festival opened his eyes to the music that newer artists are making and inspired him to try out some new sounds. The Cure’s last album was 2008’s 4:13 Dream, which debuted at number 16 on the Billboard 200 and received generally favorable reviews. While no official release date has been revealed for the new album, the band is embarking on a three-month run of festival dates in June, so it’s safe to assume we’ll have some new material by then. Listen to a 1984 Cure performance from the Paste archives below, and check out the band’s full list of tour dates further down, including a headlining slot at Glastonbury Festival and four nights of the Disintegration 30th Anniversary Show at the Sydney Opera House. You can brush up on everything we know about their new album so far here.